Mark Waters hails from the southern regions of the UK. He went to school in Bedford and was fortunate to study Biological Sciences at the University of Oxford. Here he nurtured his curiosity towards understanding plant growth and development after becoming inspired by a first year practical class on photosynthesis. After completing his PhD at the University of Nottingham studying plastid stromules with Kevin Pyke, he returned to the Department of Plant Sciences at Oxford for a post-doc stint with Jane Langdale. There he investigated the transcriptional regulation of chloroplast development, picking up essential skills in genetics and molecular biology. 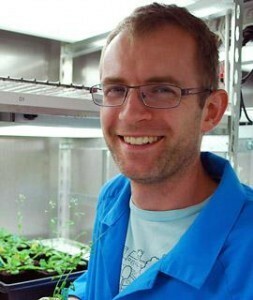 Next Mark moved to Australia in 2010 having been attracted to the impressive reputation of the ARC Centre of Excellence in Plant Energy Biology at the University of Western Australia (UWA). He joined Steve Smith’s group to explore the nascent field of karrikin signalling in plants. Named after the local Noongar word for smoke, karrikins are small molecules produced by burning vegetation, and are thus prevalent in the post-bushfire environment characteristic of Australia. The seeds of many plant species germinate upon exposure to plant-derived smoke, and Gavin Flematti at UWA identified karrikins as one of the bioactive compounds in 2004. The karrikin story therefore has a decidedly Australian flavour. Genetic screens for karrikin-insensitive mutants of Arabidopsis thaliana led to the major discovery that formed the basis for Mark’s 2015 Goldacre Award: the identification and characterisation of the karrikin receptor protein KAI2. This work, published in Development in 2012, provided strong evidence that all plants, not just those adapted to fire-prone environments, possess the key machinery for detecting karrikins. KAI2 belongs to a family of hydrolase-type proteins that also incudes DWARF14, the receptor for the strigolactone class of plant hormones. Strigolactones influence several developmental processes, most notably shoot branching. Karrikins and strigolactones are chemically similar, as both compounds possess the same “butenolide” structure that is essential for bioactivity. Mark’s research has demonstrated that KAI2 and DWARF14 are structurally similar proteins with quite different physiological functions. As a result, his work has positioned karrikins as abiotic plant growth regulators that are distinct from strigolactones, each having a respective receptor protein with different ligand specificities (Waters et al. 2012, Scaffidi et al. 2013, Scaffidi et al. 2014). Some of Mark’s more recent work has described the evolutionary conservation of KAI2-dependent signalling in plants. KAI2-type proteins can be traced back to the algal ancestors of land plants, and crucially they are functionally conserved between lycophyte ferns and angiosperms, which diverged over 400 million years ago (Waters et al., 2015). This finding implies that KAI2 is fundamentally important to plant development, a fact borne out by the dramatic seed germination, seedling growth and leaf development phenotypes of KAI2-deficient mutants. In light of the fact that most plants do not encounter karrikins under natural conditions, it is possible that KAI2 has evolved not to perceive smoke, but instead to detect related butenolide compounds that remain to be discovered. Dr Waters will explore the interface between chemical genetics and molecular biology and hopes to identify new butenolide compounds. He aims to dissect plant hormone interaction networks involved in plant development and perhaps exploit the KAI2 signalling system for crop improvement strategies. Mark and his colleagues have instigated a smoking hot area of research discovery into such an amazing chemical rich in Australian ecological significance. 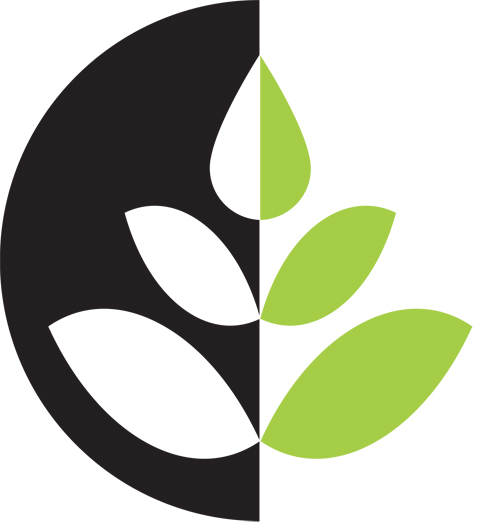 The Australian Society of Plant Scientists (ASPS ) is a scientific society promoting all areas of plant related research. ASPS nurtures the next generation of plant scientists and has the potential to educate the non-specialized audience about the importance of plants and plant research. Our society offers a unifying representation of plant scientists across Australia that collaborate with international plant science organizations linked through the Global Plant Council. It has been highlighted that “the planet needs more plant scientists” to meet future demands for food and fibre, an issue that appears further compounded by an increase in the average age of plant scientists in some parts of the world. Future plant scientists will need to be equipped with a deep knowledge of the plant sciences and armed with cutting edge technologies to address future climate change issues that challenge food security and plant biodiversity. As importantly, sustainable agricultural systems will need to operate with less arable land and water resources. Scientific societies such as ASPS have the potential to ignite new interest in plant science and help attract younger minds to identify new solutions to current and emerging problems. The “Plant Science Education Representative” coordinates and promotes the education and outreach efforts for ASPS. In addition to the “Education Rep”, six “Discipline Representatives” are responsible to drive agendas in specific research areas in close coordination with the Executive Committee. The Education Rep is commissioned important tasks for science outreach, recognition and communication, in addition to the general Discipline Representative duties. For example, the Education Rep organizes two Education sessions at the annual biology conference ComBio along with the corresponding Representative for the Australian Society for Biochemistry and Molecular Biology. These sessions include a lunch workshops featuring high profile speakers, such as the Chief Scientist or professional science communicators, as well as symposia concurrent with scientific sessions, where the keynote speakers are teaching prize awardees. The ASPS Teaching Award recognises innovative contributions to undergraduate teaching. The Education Rep chairs an ad hoc committee composed by an external teaching academic and a student to rank the applications and recommend the most outstanding one as the award recipient. The Education Representative is also responsible for continuous development and maintenance of the Teaching section of the ASPS website. Different Social media platforms allows ASPS to interact with its members and communicate plant sciences to non-specialized audiences. These tools, and current initiatives such as FoPD and National Science Week provide excellent outreach opportunities to effectively communicate the importance of plant research to our society while enhancing the profile of the ASPS and its members. Education and effective communication of our science are the means to inspire the new generation of plant biologists. The Australian Society of Plant Scientists (ASPS) and Website & Communications Sub-Committee welcome your submissions to our Phytogen blog. ASPS publishes the Society newsletter Phytogen to promote plant science and outreach to members and the general public. Phytogen is currently a live blog and is periodically sent to our members via email. We believe that Phytogen is a valuable vehicle for communicating new ideas, recent professional experiences, and events, while promoting our Society and plant biology in general. Current and relevant content is critical to achieve these goals. How can you help? We are continuously seeking for relevant content from Society members, including researcher profiles, conference highlights, government policy development, agricultural and academic innovation, biological discoveries and conservation, national and international outreach activities or description of a new breakthrough technology. ASPS will continue to enhance the exposure of Australian plant science through effective communication to a general audience. We encourage you, especially our HDR students (e.g. MSc/PhD) and Early Career Researchers to contribute to Phytogen and our social media networks (Facebook or twitter). ASPS would like to sincerely thank Conjoint Professor Tina Offler for her long-standing role as the chief editor of Phytogen. Tina will continue as co-editor and provide professional mentorship to support the new chief editor of Phytogen; Dr. Chris Cazzonelli. We welcome you to contact Chris (c.cazzonelli@westernsydney.edu.au) to discuss article ideas or submit your story for publication in Phytogen. Your current membership type is [wpmlfield name=”membershiptype”] which is paid to [wpmlfield name=”paidtodate”] (year, month, day). We’re sorry that the October issue is a few days late – last month was incredibly busy for us as we flew out to Brazil for 10 days for our Stress Resilience Forum (in collaboration with the SEB), which was immediately followed by the International Plant Molecular Biology conference, and lastly our Annual General Meeting. We’ll be updating the blog and our website with details of what happened when we’ve recovered from our jetlag, but in the meantime check out the hashtags #StressRes15, #IPMB2015 and #GPCAGM on Twitter! Some of the GPC AGM attendees. Photo courtesy of Deena Errampalli. A gene that helps plants to remain healthy during times of stress has been identified by UK researchers. Its presence helps plants to tolerate environmental pressures like drought – and it could help create crops that can better withstand adverse conditions. In a recently published review paper in Trends in Microbiology, two integrative biologists present how it is possible to engineer the plant soil microbiome to improve plant growth, even if the plants are genetically identical and cannot evolve. Plant scientists at ETH Zürich and the University of Geneva (Switzerland) have set out to find a way to increase vitamin B6 production in the roots and leaves of the cassava plant. This could prevent vitamin B6 deficiency among people who consume mostly cassava. Delegates from the 136 member nations of the International Treaty on Plant Genetic Resources for Food and Agriculture have given their approval to set up an international information gateway for the genetic data of food crop seeds. 30 November–2 December 2015. Talca, Chile. 11–14 December 2015, New Delhi, India. 9–13 January 2016, San Diego, USA. More…The Global Food Security (GFS) Programme is inviting expressions of interest from post-doctoral researchers to take part in a Policy Lab on sustainable nutrition. If you are interested in taking an interdisciplinary and systems approach to a policy-relevant issue, who would relish the opportunity to produce an evidence-based report that will be widely read by policy, industry and the public, then this is for you. 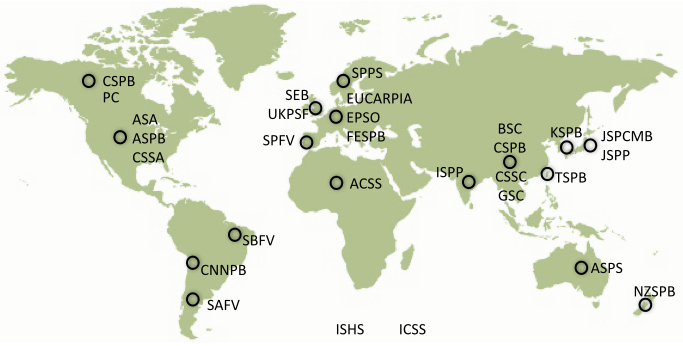 There are lots of new funding opportunities available for plant science and policy research from around the world. Please take a look at our articles here (South Africa/India/Asia/Africa/Global) and here (UK/Brazil/Africa/Europe/Global) to see if you are eligible. Hurry, some of the deadlines are very soon. Applications are also now open (until 30 November 2015) for the 2016 New Phytologist Tansley Medal, awarded each year to an outstanding early-career plant science researcher. More information here. Former President of the Soil Science Society of America David Lindbo tells us why we should care about soils. 13 October was Ada Lovelace Day, named after the first computer programmer to celebrate women working in scientific disciplines. In Part 1, find out what it’s like to be a female plant scientist in Cameroon and Sweden, while in Part 2 we talk to women from Tanzania and the US. New Media Fellow Amelia Frizell-Armitage spoke to Professor Cathie Martin about biofortification and her work to improve the nutritional content of tomatoes. Hannes Dempewolf from the Global Crop Diversity Trust explains why it’s so important to conserve the wild relatives of our modern-day crops. Copyright © 2015 Global Plant Council, All rights reserved.